There has been discussions in relation to engine failures related to 4 stroke kart engines. Every one has there own opinion & until we under took extensive training relating to Briggs & Stratton Racing Engines we admit we did not truly understand the real deal on oils. 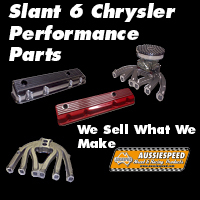 Synthetic oil is available in many different grades, chemicals such as acids & alcohols are used to make many types of base stock to change the properties of the blend of synthetic racing oils to offer different features to solve problems of low temperature flow rates, high long period temperature operations & oils that require longer drain intervals. 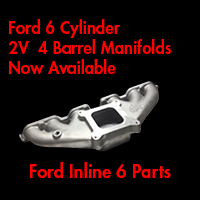 Synthetic oil is manufactured from artificial chemical compounds. Synthetic oil blends can be made from modified petroleum products blended with other raw materials these are not true synthetic oils and due to government regulations can be sold as synthetic even though the majority of the oil used is refined mineral oil. True Synthetic blended oil is used as a replacement for mineral oil for lubricating when an engine is operating under extremes temperatures, conditions or load. Synthetic oils use superior chemical properties compared to traditional mineral oils. Jet engine powered aircraft require the highest grades of synthetic oils as the drain time between oil changes can be extended due to flying time. Imagine the conditions oil used in an aeroplane would have to withstand as it had to fly from one side of the world to the other. You cant stop half way across the ocean and say we need an oil change or the low oil pressure indicator light has come on and there is no or low oil pressure. Synthetic oil research started around 1930 a US company that extracted stock from processed animal animal fat, plants & seeds to produce an oil. The blended oils were an excellent lubricating oil but due to the amount of labour & wide range of raw materials need it was financially not viable. Due to the low cost to manufacture traditional mineral lubricating oil the idea was never put into production. Esters have been used for lubrication for sixty + years and are used by many oil manufacturers for oils that are used in extreme applications where using Esters help solve problems due to high heat or very cold temperatures. Esters are used in oils used to lubricate the engines in jet aeroplanes as they have exceptional low temperature flow plus the benefit of high temperature operation. Esters are now also used as the stock for synthetic refrigeration oils & are blended with other chemicals to produce modern refrigerants to produce a product that flows at the very cold end of the scale & not breakdown when exposed to very high temperatures. Esters or PAGs are more expensive to produce than PAOs as they use a similar processing method to mineral oils and are cheaper to produce. Esters are blended with PAOs to produce a full synthetic motor oil that has benefits that Easters on there own dont posses. The blended PAG & POA produce an oil that is not as volatile, can with stand extreme high & lower temperatures has no negative affects on rubber oil seals, can have additional additives added that can offer extra benefits to the final oils application. Depending on the type of ester used & the application of the final oil the Ester blend can vary between 5% to 25% & lack the undesirable and unstable impurities found in conventional petroleum based oils. Another important difference between esters and PAOs is the incredible versatility in the design of ester molecules due to the high number of commercially available acids and alcohols from which to choose. The choices available with PAO base stock is a standard range the ratings or numbers can vary with blend of a lighter and heavier PAO. With POA the properties of the resulting base-stock are essentially the same. With esters, there are dozens of types of products that can be designed each with a different chemical structure selected for the specific desired property. This allows the “ester engineer” to custom design an ester base stock to optimized the properties for the application. The performance properties that can be varied in ester design include viscosity, viscosity index, volatility, high temperature, biodegradability, lubricity, additive solubility, and rubber seal compatibility. Group(3) based oils have been labelled “synthetic” through a legal loophole.Group 3 synthetic oils are petroleum based Group 2 oils that have been refined in away to remove the sulphur making them purer & longer lasting than standard mineral oils. High Grade Ester based oil is the best oil for your Briggs & Stratton racing engine. As most of our customer base is Australia we have looked into what oils are available in Australia and we will try to give you an understanding that there is more to Ester based oils than just a higher price. Know as “polyol esters”the full name is neopentyl polyol esters. Polyol Esters substantially increases the thermal stability of oil and allows them to be used at much higher temperatures. This makes polyol esters ideally suited for the higher temperature applications where the performance of other oils begin to fade. Polyol ester base engine oil can increase the high temperature operating range of a lubricant by as much as 50 – 100°C due to their superior stability. They are also renowned for their film strength and increased lubricating properties at higher temperatures which is useful in reducing energy consumption in many applications. The only downside of polyol esters is their higher price which can be between 20 to 80% higher. Jet engines operate at extreme temperatures for extended periods of time, the aviation industry can not take the risk of using inferior oils that can not handle the extreme demands put on the lubrication system on an aeroplane engine.Polyol esters are used in jet engines where the oil is expected to flow at -65°C, be pumped at -40°C & not break down at sump temperature well over 200°C. With the extreme conditions put on the oil in a jet engine the run time equals a run time of years compared to a normal engine. Polyol esters are also the ester of choice for blending with PAOs in passenger car motor oils as passenger cars use a cooling system & have an oil pump fitted to the engine the engine oil is not submitted to the same harsh conditions as non water cooled engines. In general, polyol esters are the best for high temperature applications at a reasonable price. Polyol Esters do cost more than many other types of synthetics the benefits of this is extended oil life, ability to with stand higher operating temperatures for extended periods of time. The decision on what oil you decide to run is up to you, there are many other oils available in the USA for 4 stroke engines. 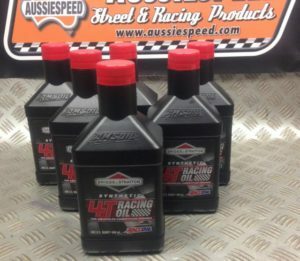 Here in Australia we are limited to brands of oil that are available for this reason we have found red line RL157 is available through many Automotive outlets through out Australia. Synthetics are sometimes mixed with conventional mineral oils to produce a cost-effective middle ground between the two, referred to as a “semi” or “part-synthetic.” However, while semi or part-synthetics and conventional mineral oils are both capable lubricants, fully synthetic oils provide the highest level of engine protection. Mineral oils are based on oil that comes from wells (which has then been refined) while Synthetic oils are entirely formulated by chemists. The other type is semi-synthetic, sometimes called premium oil, which is a blend of the two. Despite their name, many synthetic derived motor oils actually are derived from mineral oils (they use the Polyalphaolifins from the gas produced by the mineral oil refraction process). These ‘ PAO’ oils will mix with normal mineral oils which means that you can add synthetic to mineral, or mineral to synthetic without damaging the engine. Pure synthetic oils, aka (polyalkyleneglycol) is the variant used almost exclusively within the industrial sector in ‘polyglycol’ gearbox oils as they will take the loads produced in heavily loaded gearboxes. Non-smoking two-stroke oils are composed of esters or polyglycols. Environmental legislation for leisure marine applications, especially in Europe, encouraged the use of ester-based two cycle oil. Despite their name, most synthetic derived motor oils (ie Mobil 1, Castrol Formula RS etc) are actually derived from mineral oils – they are mostly Polyalphaolifins and these come from the purest part of the mineral oil refraction process, the gas. PAO oils will mix with normal mineral oils which means you can add synthetic to mineral, or mineral to synthetic without your engine seizing up (although I’ve heard Mobil 1 is actually made by reformulating ethanol). These bases are pretty stable, and by stable I mean ‘less likely to react adversely with other compounds’ because they tend not to contain reactive carbon atoms. Reactive carbon has a tendency to combine with oxygen creating an acid. (As you can imagine, in an oil this would be A Bad Thing.) They also have high viscosity indices and high temperature oxidative stability. Typically a small amount of diester synthetic (a compound containing two ester groups) is added to counteract seal swell too. These diesters act as a detergent and will attack carbon residuals. So think of synthetic oils as custom-built oils. They’re designed to do the job efficiently but without any of the excess baggage that can accompany mineral based oils.